Club Penguin Cheats by Mimo777 Club Penguin Cheats by Mimo777: Club Penguin April Fools Party Is Here Now! Club Penguin April Fools Party Is Here Now! 2. Throw paint balls at the canvas until you paint a treasure chest. 3. A spring will pop up with the Red Propeller Hat. 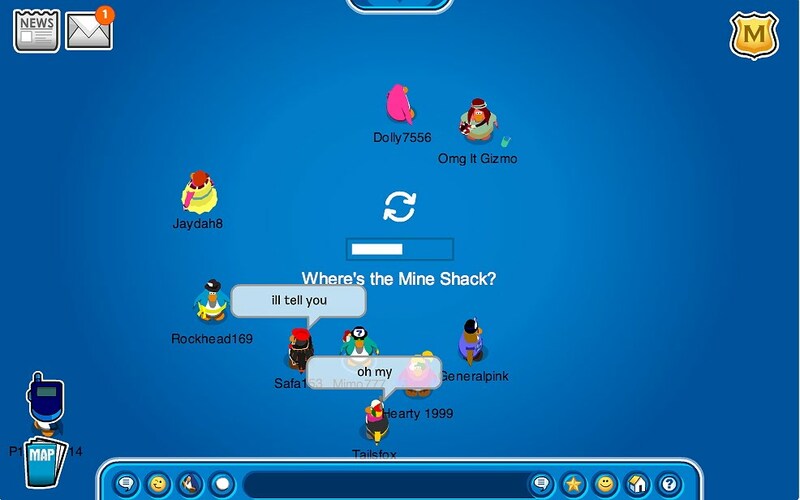 OMG check out the Mine! It is awesome! Click on the loading bar circle and you can get into the Mine! 1. Go the the Snow Forts. 2. Click on the door to enter the Silly Place. 3. 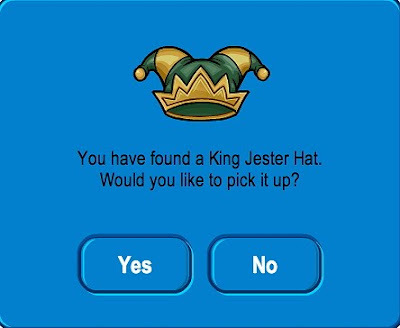 Click on the King Jester Hat. Saweet! What is your favorite part of the party? Play Fun Virtual Worlds for Kids Now! OMG this is bare cool !!!! i love it and the mine is AWSOME !!! rock on mimo77 neva forget u rock!!! IT'S THE SILLIEST, WACKIEST, BEST CLUB PENGUIN APRIL FOOLS' PARTY EVER!!!!!!! This is my first April's Fools party! And in the member's room, why is there a tell a joke thingy with a meter. What does it do? WOW! The april fools day party is really cool!!! There is also a new catalogue! Can you post the cheats for it plz? when you try to viset the mine you will end up one the load page and you can talk on the loading page! Try it! Hey Mimo you forgot about the penguin style! I like everything about the party :D The catalog rocks too! I like the loading room and how when you try to exit the Night Club, Gift Shop or Coffee Shop, it takes you to the Ice Berg. I also like the Upside down forest! I love the Party and the new clothes at the gift shop! Recycling is the best! The new cheats I know are the viking helmet at the cup of coffe and face paint on the dance floor. Hey Mimo777! It's me Tebolete. I got a blog too! Wordpress. I like what you put down on your blog and cheats! I get ideas from your blog to my blog! Thanks for puting cool cheats and news! God Bless You, and your family too! Waddle On! P.S The News Clothing Catalog is here! Go inside the gift shop then leave then you're at the iceberg! i love the mine too!!!! I think it is so awesome. I answer the loading arrows like im talking to it. Im not a member so I love getting free new items. 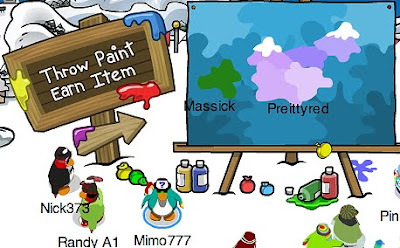 I know how to getr the green hat and the paint but im not a memeber. Waddle on peeps! Someone might have already told you or you might already know but when you throw snowballs in the pizza parlor it turns into food! WE CAN HAVE FOOD FIGHTS AWSOME! if you go cart surfing in the mine, a banana peel comes to pick you up instead of a cart... hahah lol :) love this party, Thanks Mimo! There actually is a free item. Its the red propeler cap and you get it at the dock if you paint the picture by throwing the snow-paint balls at the canvas.There are two other paintings that you have to paint first. But the third painting will be a treasure chest. Click the treasure chest and a spring will pop out of the ground with the red propeler hat. OMG go to the nightclub then exit it watch wat happens it is soooo cool! lol if u throw a snowball in the pizza parlor it turns into food and we are having a food fight! It just tell jokes lol. Favorite part? Mine loading room. So Cool! Well u go through the first door, arive at the second and then u start telling jokes and dancing! Get a whole bunch of people and have some fun! Once the show time is over. U can see that on the clock. Anyways, once the show is over, it will give u a rating! Its pretty cool if u ask me!Hope this helped! Keep waddling on! Also congrats on ur first april fools party! This is my second! I was on Club Penguin when they started putting things up. I left and came back and BAM the April's Fools Day stuff was there! Mimo did ya know that in the town you can walk on the coffee shop and gift shop? you can only seee the penguin in the windows! give meh credit! unless u already knew this..... OH I LIKE THE GIFY SHOP! you know when u go inside and back outside u pop up at the iceburg! so funny when people say whoa! OMG MY GOSH MIMO!!!! i saw this guy who was in the town saying stuff like, " party at my igloo!" then i asked him to put it on the map and he didn't respond so i got cored and went to the dock. GUESS WHAT?! he was there too! so i went back to the town and he was still there! then i went to the beach and he was there too! so freaky! if you ever see him his name is 1racecar1 2 3 4 and 5 at first he seemed to be a person at 5 computers doing the same thing but when i looked at all of them they all looked the same, they had no background no pin no nothing, just a plain black penguin. and when i left them they all said the exact same things at the exact same time! i dont know if this was a coincidence or just weird. Mimo won't come. :-( As much as he would like to, he can't because that wouldn't be fair to the other penguins. If you wanna meet him, go to a famous quickee party, a party that Mimo hosts every now and then. Mimo look in the paper on the in focus page and you can see herbert dressed up like a yettie!!!!! Hey it is very funny when you go in pizza parlor! You just throw snowballs and then will fall food! It's a member's item. Look inside the Penguin Style's catalog, should be there. It's in the gift shop in the town. I'm not sure about the drill/helmet, but the face paint is real. i hope that sloves you answer. I LUV THE APRIL FOOL'S PARTY!! cuz it's just a time where the island is a wacky place to be. also, i LUV the new catolog! I luv the whole "Go Green" thing cuz that is a HUGE issue now and days. I just think that there was a lot of good ideas put into the party and catolog. i think there's gunna be a new "tip the ice berg" campaign cuz a bunch of ppl went to the ice berg and started using the green mine hats. and the members were waering the trees. so now instead of "dance or drill just dont stand still" it's probably gunna be sumthin like "go green!! build forests!!" wow, club penguin staff is sooooo smart to get a new item that will start the whole "TIP THE ICEBERG" thing again!! UGHH! !But still, GO GREEN!! Waddle On!! Mimo. go to the beach and click on the sky background. it changes! I Just saw something at the party that i never knew about. april fools rock! 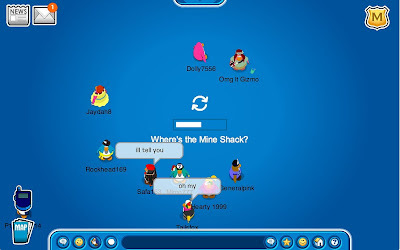 i tricked someone that the mine didnt work and cp had to improvise! Also, at the beach if you click on the lighthouses light above where the door is supposed to be then the background changes. how do make your own message on club penguin? Do you still play franktown mimo? bespoke mens clothing market. They are specialists in [url=http://www.theaudiopeople.net/beatsbydre.html]Beats By Dre Cheap[/url] light glows in green this symbolizes that the base unit is [url=http://www.theaudiopeople.net/michaelkors.html]michael kors bags[/url] whimsical and does not necessarily plan things out very well. [url=http://www.theaudiopeople.net/beatsbydre.html]Beats By Dre Cheap[/url] tangible results. I love the work I do and the service we provide. Club Penguin Best Party Reviewed By You! Club Penguin April Fool's Party Update! 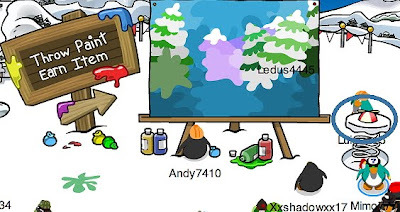 New 2010 April's Club Penguin Mission Sneak Peek! Let's Start the Mimo Comment Tracker Again! Club Penguin Pin Cheat - CUPCAKE Pin! Club Penguin's New Loo Tunes For You! Club Penguin Play Awards Reviewed By You! Club Penguin April Fool's Party Sneak Peek! Club Penguin Fire Puffle BASEBALL shoes?! FAIL! Club Penguin Play Awards Are Here Again! Club Penguin Play Awards Nominees! Club Penguin Puffle Rescue Tips By Screenhog! Happy St. Patrick's Day PARTY! Sneak Peek! Club Penguin Daring Rescue Reviewed By You! Club Penguin Puffle Rescue Walk Thru Cheat Video! Club Penguin Puffle Rescue Is Here! I Need Beta Testers RIGHT NOW! MORE New Club Penguin Toys and Web Site! Club Penguin Pin Cheat - BUCKLE BOOT Pin! New Club Penguin Mix "N Match Toys and Puffles! Club Penguin Puffle Rescue Sneak Peek! Club Penguin Puffle Rescue & Penguin Play Awards! Get ready! Tootsville goes Cruisin! Club Penguin's Screenhog On Night Club Secrets! Club Penguin Bravest Adventure Reviewed By You! Another Game Mimo Just LOVES? FRAGGER! Club Penguin New Game This Week! Happy77 Talks Club Penguin Toys! Club Penguin's New Puffle Game! Mimo's World Famous Rockhopper Comment Tracker! Club Penguin Missing Puffle Mystery! Club Penguin Toys - Where To Buy! Rockhopper Arrives On Club Penguin Island! Club Penguin Rockhopper's Yarr Is Missing! 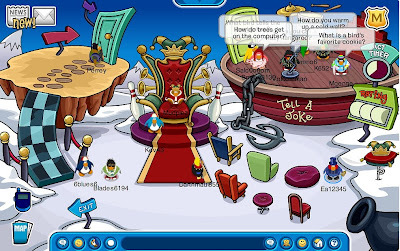 My Exclusive Meeting With Club Penguin! Club Penguin Rockhopper Reviewed By You! Club Penguin Series 7 Treasure Book Cheats! Club Penguin Play Awards and NEW GAME!